Imagine 70 Rotary Clubs, 40+ Interact Clubs and Rotaract Clubs all performing Random Acts of Kindness on the same day – Saturday February 17, 2018. That’s National Random Acts of Kindness Day and District 6440 will be on board. 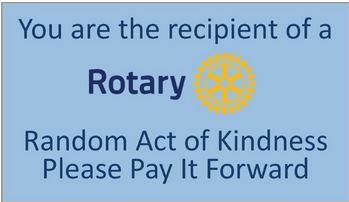 Post photos of your kind acts on your personal and club Facebook pages with #District6440KindAct.